Hello beautiful! I hope you are having a wonderful day so far and if you’ve stumbled upon this review, it’s probably because you have a scar that really bothers you, and my heart really does go out to you if it’s causing you to feel grief and insecurity. Whether your scar is from an injury, acne, chicken pox, or a burn – cheer up because you can treat that scar topically and greatly reduce its appearance! 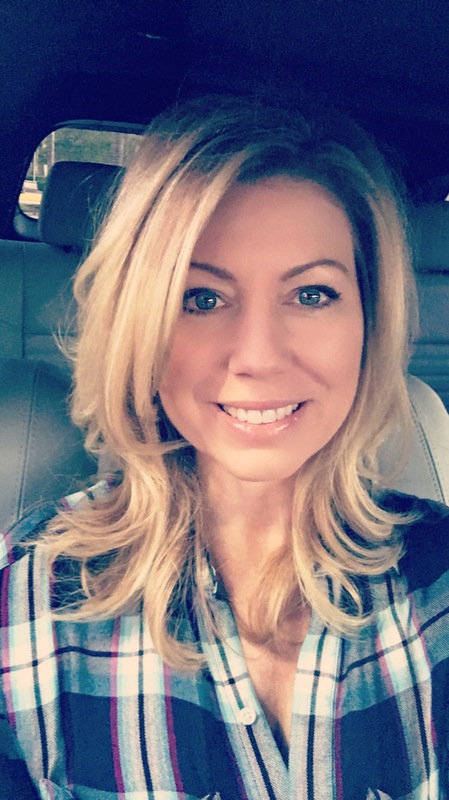 Today I’m reviewing an effective scar treatment called Dermefface FX7 Scar Reduction Therapy, a highly regarded scar therapy treatment by dermatologists and plastic surgeons. 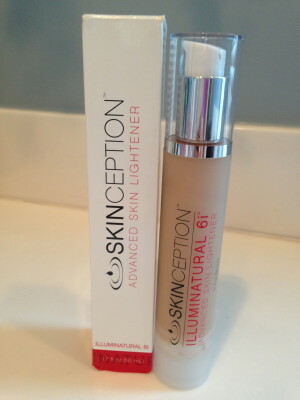 It’s made by Skinception, which is a skin care line which specializes in anti-aging. They have many wonderful products which I use personally on a regular basis and I have for a long time. Their products work! 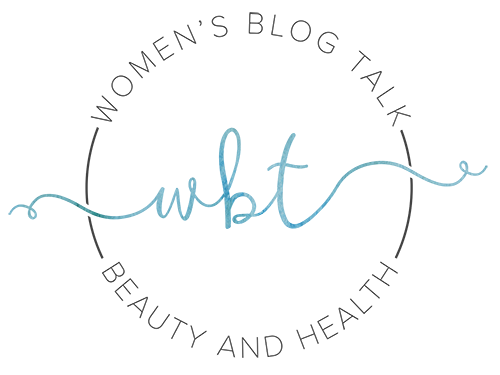 Dermefface FX7 Scar Reduction Therapy can significantly reduce the appearance of a scar, even old scars. As SOON as your scar is healed over and dry, you can begin applying this serum to start the reduction process, and the sooner you begin to use it, the better. You can expect to start seeing a reduction in the scar in as little as 4 weeks! How Will Dermefface FX7 Change My Scar? Over time, you can expect that your scar to become much more flattened and smoothed – and the smoother the scar, the less noticeable it will be. 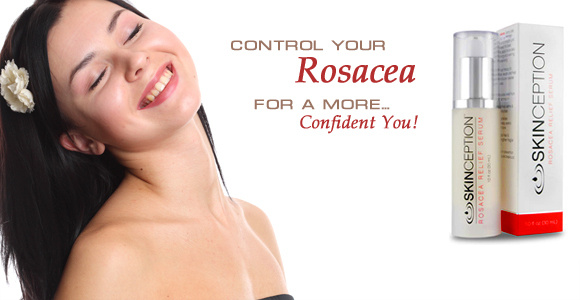 The redness and discoloration will fade and the skin aging around your scar area will be reduced. Dermefface Fx7 Scar Reduction Therapy has a luxurious, non-greasy and fast absorbing formula that you apply twice per day to a clean face (or wherever your scar is) underneath your moisturizer and make up. 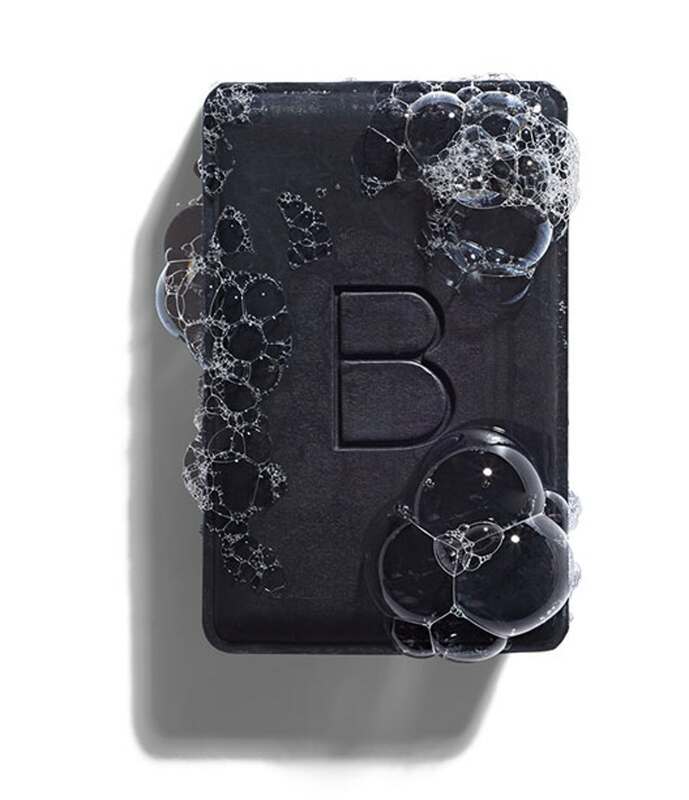 It’s texture is light and moisturizing (not sticky at all) and blends right into your skin, it feels just like a moisturizing anti-aging serum. Dermefface FX7 contains 7 clinically proven active ingredients, 10 potent antioxidants, and 5 effective moisturizers which work synergistically in all of the layers of your skin, even the deepest layers, to diminish scars. Ultimately, the healing powers of this serum and its collagen boosting properties allow your scars to fade more dramatically and FASTER! You do need to be patient however, as the skin cannot repair itself overnight and if anyone promises you that it can, they’re not being honest. Your skin has a natural 28 day cycle for regeneration, and depending upon the depth and size of your scar, the process can take anywhere from 90 days to 6 months to completely heal to the point of disappearing. Each person’s scar is different so there’s no exact timeline but we do know this for sure, the sooner you start using it – just as soon as your scar is healed over and dry – you can start using Dermefface FX7 Scar Reduction Therapy and start to see results! Let’s talk about scars for a minute, which is a highly emotional subject for some and completely understandable. Scars, especially on our faces, can be embarrassing, and cause us to be very self-conscious and insecure about our appearance, it’s only natural to feel that way! In some cases, it causes detrimental emotional suffering because the full healing process of a scar can take up to two years, and you can’t always remove a scar 100%. I know this, because I’ve seen it happen to my sister. 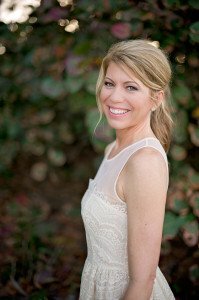 A little story, my younger sister Katie, (who also writes for womensblogtalk) has epilepsy and she had a few bad accidents about 4 years ago due to having seizures (thankfully her seizures are under control now with proper meds). The first accident was a fall in the shower, which left a scar about 3 inches long straight across her forehead. She fell a second time, only two months later, and crashed into a glass coffee table which gave her another scar above her eyebrow. The absolute worst luck, especially for a beautiful 25 year old girl who works in the beauty industry. I can’t even begin to explain what a rough time in our lives that was. When she visited me just a couple weeks ago, I took her to a plastic surgeon’s office to inquire about laser treatment. Due to the nature of her main scar, which is in a straight line across the middle of her forehead, he said there was no laser treatment suitable to treat it, since a laser would reopen the scar and cause even more damage and make it worse. At this point all the redness in her scar is gone, but what’s left is a small dent which is impossible to completely cover with makeup. Even though she left the Dr.’s office in tears, he did say that Dermefface FX7 was definitely a good product to try! He was familiar with the product and explained to us that it works by promoting collagen production in the deepest layers of your skin and that collagen is the key to our skin’s resiliency. He encouraged her to try it and said it was the best option to reduce the appearance of a developing scar, and also to minimize the appearance of an old scar, as in my sister’s case. I WISH I had known about Dermefface FX7 Scar Reduction Therapy while she was healing, which is the best time to treat, but unfortunately that was four years ago and we didn’t know about these types of products so she just let natural healing take its course. However, since Dermefface FX7 can be used on old scars as well, we’re going to try this product on her forehead ASAP to see how it helps. I just ordered this product today and she’s going to try it! So we will be sure and update this review with before and after pics after she’s used it for at least 2-3 months. My heart really does go out to you if you’re really upset about a scar that you have on your face because I totally understand what it can do to your self esteem as I’ve consoled my sister countless times. It breaks my heart when she looks at an old picture of her once flawless forehead and compares it to now. She’s still absolutely stunningly gorgeous and it’s hardly noticeable to me, but we are our own worst critics, aren’t we? This product is sold exclusively on the Dermefface FX7 Scar Reduction Therapy Official Website. The cost for a one month’s supply is $59.95 for 0.5 oz bottle, and with that you also get a free bottle of Microderm Facial Exfoliator (a product I use regularly and love!). Since the typical time frame for optimal results can be anywhere from 90 days to 6 months, I highly recommend that you opt for at least the 3 month supply which will save you $50. The cost for a 3 month supply is $129.95 and with that you get a free Microderm Facial Exfoliator (you can read my personal review there) AND a $25 gift card to the Natural Health Source (you can browse there to see what else piques your interest). They offer not only the entire Skinception line of anti-aging products, but other health products as well. 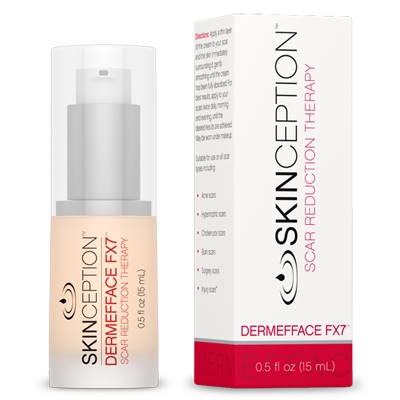 I am very familiar with the Skinception line of products and I can tell you they are all exceptional and produce results, so I have no doubt that Dermefface FX7 Scar Therapy will work and I highly recommend it! Why? 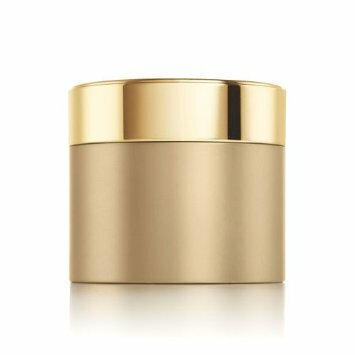 If you’re familiar with my website you’ll know that Kollagen Intensiv is one of my top wrinkle creams which I’ve had great results with, and I also use the Microderm Facial Exfoliator 2-3x per week as part of my regular anti-aging routine, their AHA Toner for Cell Renewal AND their Eyelasticity Eye Treatment. I mention these other products because I have confidence that based on my experience with them, that Dermefface FX7 will do what it promises! And there are countless (real) testimonials on line for this product. But the fact that my own plastic surgeon highly recommended my sister try this product, was the only testimonial that we needed. With continued use, using Dermefface FX7 will help flatten and smoothen your scars, reduce redness and work in the deepest layers of your skin to rejuvenate and repair all types of scars whether it’s from acne, an injury, chicken pox scars, or a burn. It will aid your skin’s natural 28 day cycle of regeneration to heal your scar faster! And bottom line that’s what we want – we want fast healing so that we can have our happiest face back! 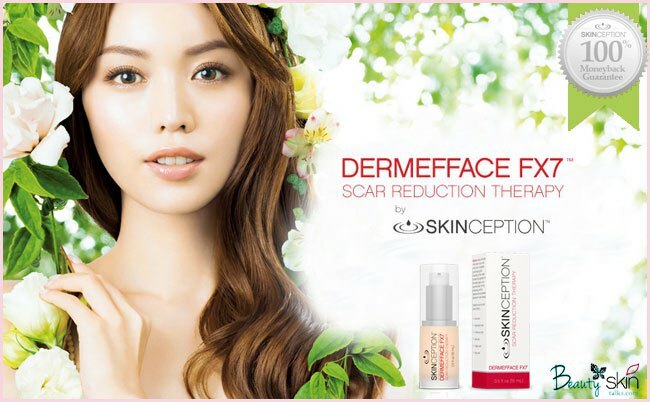 Have you used Dermefface FX7 Scar Reduction Therapy? Leave your review below! This stuff works. My son gave this to me after I had heart surgery. They had to make a 4" incision on my neck and I had a rather large scar. As soon as the scar healed over, I started using the cream. Not only did it sooth to stop the terrible itching, it helped it heal so that you can even notice it anymore. It also reduced the redness as it healed. Good stuff. Even men can use it....like me.